Deep sea mining was identified in the middle of last century. However, its industrialization and commercialization today are limited in the costal mining industry due to the high mining cost and technical issues. The purpose of this paper is to analyze a green transport plan of deep sea mining systems in terms of the optimal efficiency of the rigid pipe lifting system and the total energy consumption. The deep sea mining facilities considered in this paper consist of a mineral collecting machine, a flexible hose, a rigid pipe, a grinding machine, a concentrating machine and a horizontal pipe conveyor. Centrifugal pump modelling and its working principle are researched, because it is the major transport facility. The relationship between the optimal efficiency, total energy consumption, transport loss factor, and the relating mining parameters is determined by numerical simulations and fittings under Fortran and Matlab environment, and the optimization under 1st Opt environment. 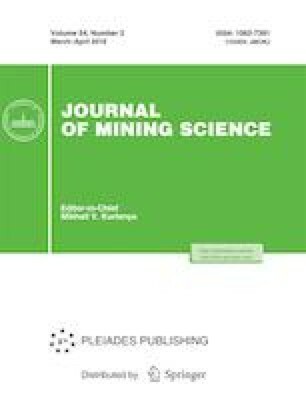 The research conducted in this paper is valuable for the pre-evaluation of deep sea mining transport systems and the further realization of its industrialization and commercialization process. Published in Fiziko-Tekhnicheskie Problemy Razrabotki Poleznykh Iskopaemykh, 2018, No. 2, pp. 82–97.